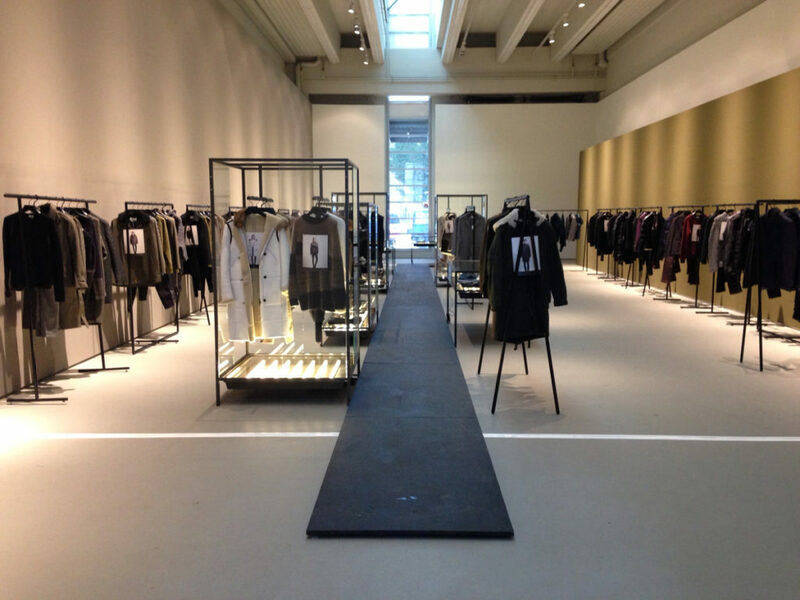 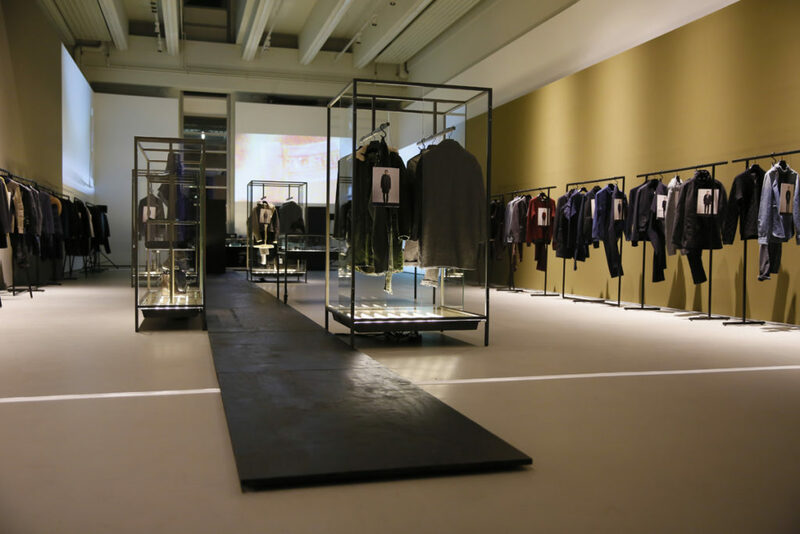 For the international fashion brand Closed, an exhibition design at Nolin Judin Gallery was developed in the context of the fashion fair Bread & Butter 2013 in Berlin. 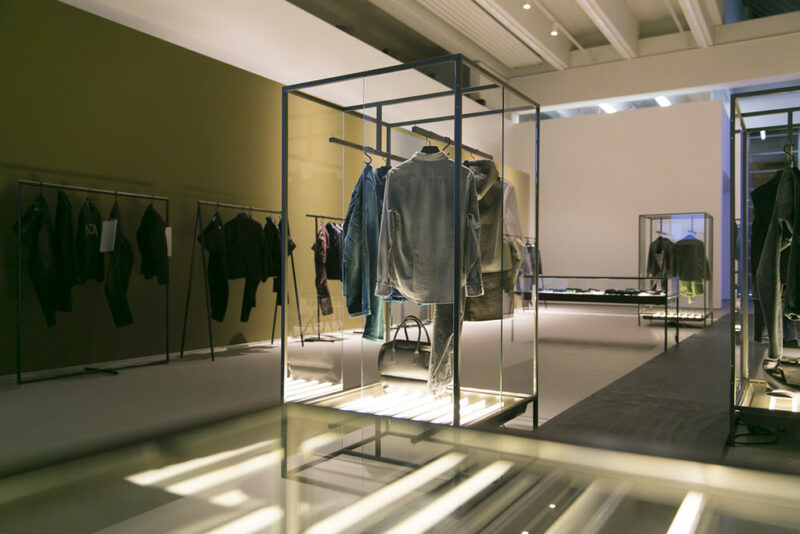 A 275 sqm presentation with bespoke furniture was created, underlining the pure and innovative character of the fashion brand’s collection. 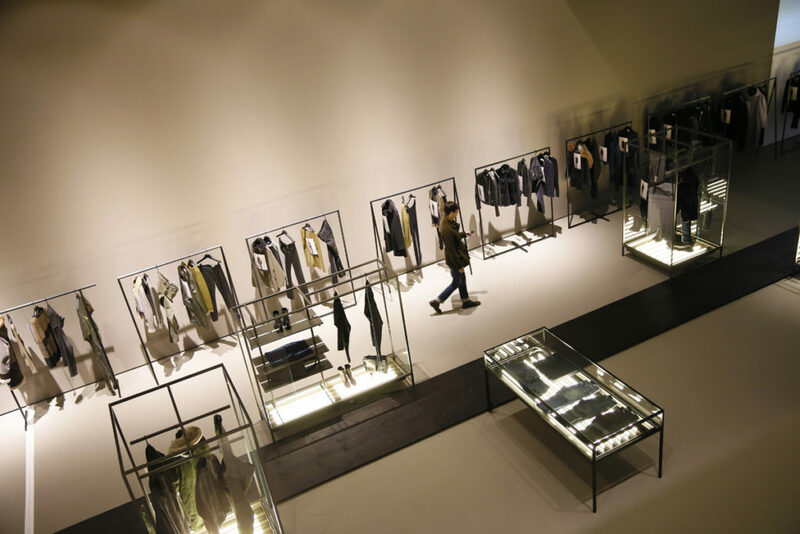 A black wooden catwalk was designed to meander through the space seeming to float above the bright floor and flanked by glass cabinets on both sides. 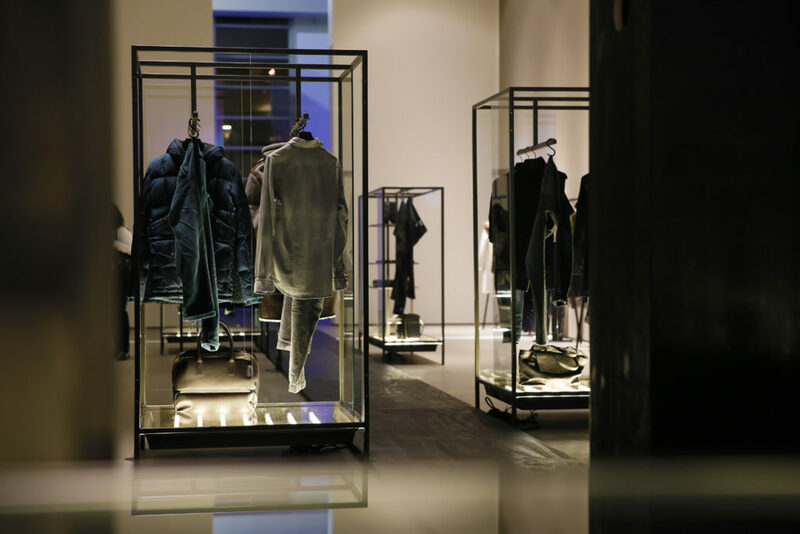 The 2 m high custom-made cabinets, made from glass in a frame of powder-coated steel in umbra grey highlighted the men’s and women’s fashion in a distinct and progressive way. 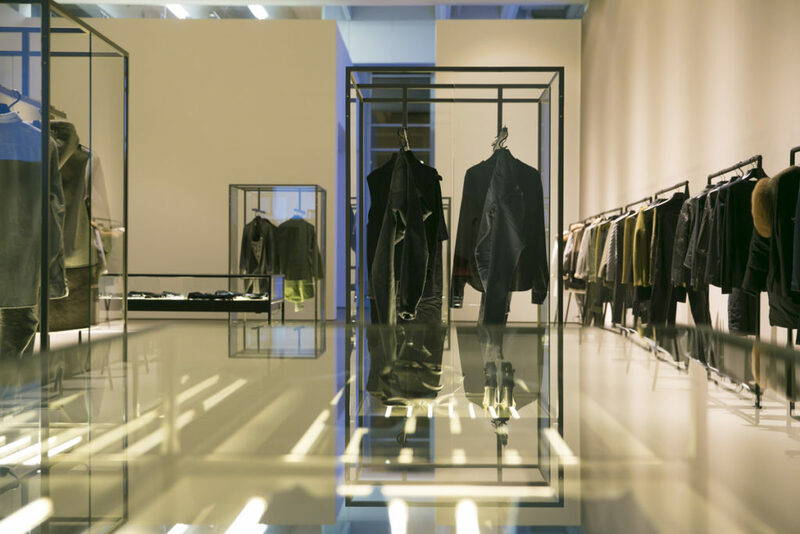 Illuminated from the bottom of the glass cabinets the garments obtained a weightless character, especially when presented lying on the glass surface of the pure cabinet tables. 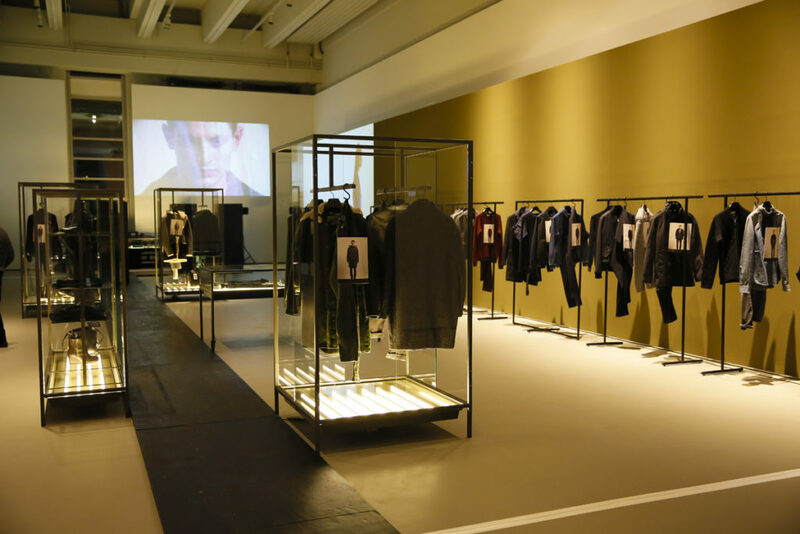 Completed by three different shapes of steel clothes racks, the clothing presentation was accentuated by painted curry-coloured walls, a sensitive ceiling illumination as well as beamer projections of CLOSED catwalk situations. 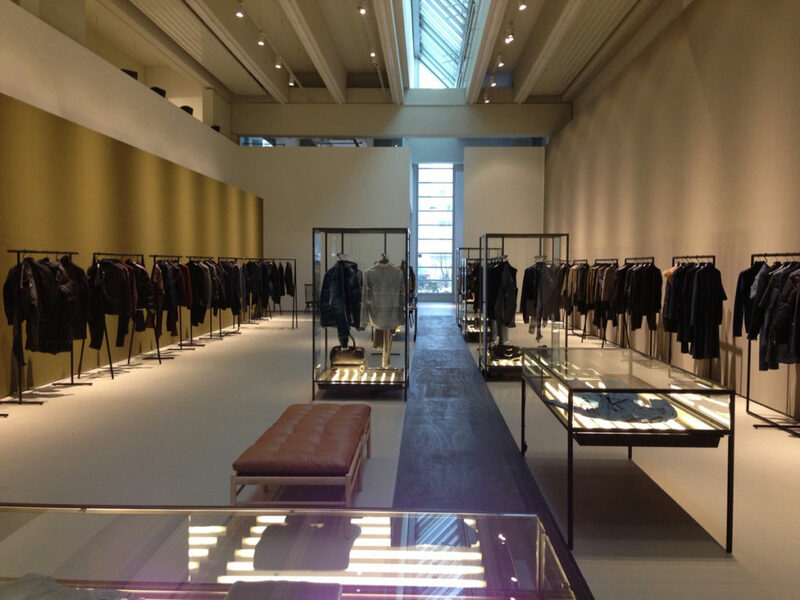 In 2004, the collaboration with the Hamburg based fashion label Closed started with the realisation of the company’s first flagship store in downtown Hamburg. 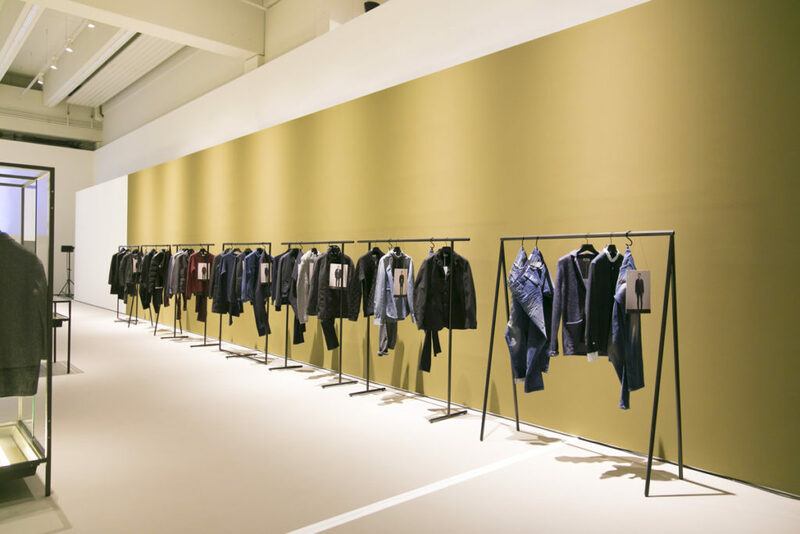 Since then, the fashion label commissioned the interior design of all Closed stores and showrooms around the world with the briefing to establish a distinct global corporate architecture for the brand.